Aaron Cergol is a young blacksmith who creates works of art from steel. Showing a creative flair seldom seen in the field, he turns the everyday axe, hammer, anvil, or knife into a work of art. This Damascus Axe is representative of Cergol’s work. The blacksmith, now age 25, works on a restored forge made in the 1860s. Cergol’s workshop turns back the hands of time. He works in traditional methods developed over hundreds of years, but largely forgotten today. Looking at Cergol’s tools from just a year ago, it’s easy to see his progression into more complex designs. Here, he’s made a wrought iron jeweler’s anvil that will support another craftsman’s intricate work in the future. Fortunately for Cergol, his craftsmanship is adored by many. Over the past year, he has largely sold out of his one-of-a-kind tools, and he was forced to stop offering regular classes to meet demand for his creations. But you can certainly still get a Cergol original today. He crafts many tools of his own concoction and posts them through listings on his Facebook page. He has also broadened his work, selling small products like these fancy handmade bottle openers. But most of his work is still custom, like this fireman’s axe built. The head is a stout 2.5 pounds of 4140 steel to take anything thrown at it. The spike comes to a fine point and sinks into wood with ease, and the edge is short, tapered and easy to maintain but robust. It’s hung on a straight 18″ flame-blackened, oil-sealed handle. His recent work has also delved into the world of large work knives like this stout machete. 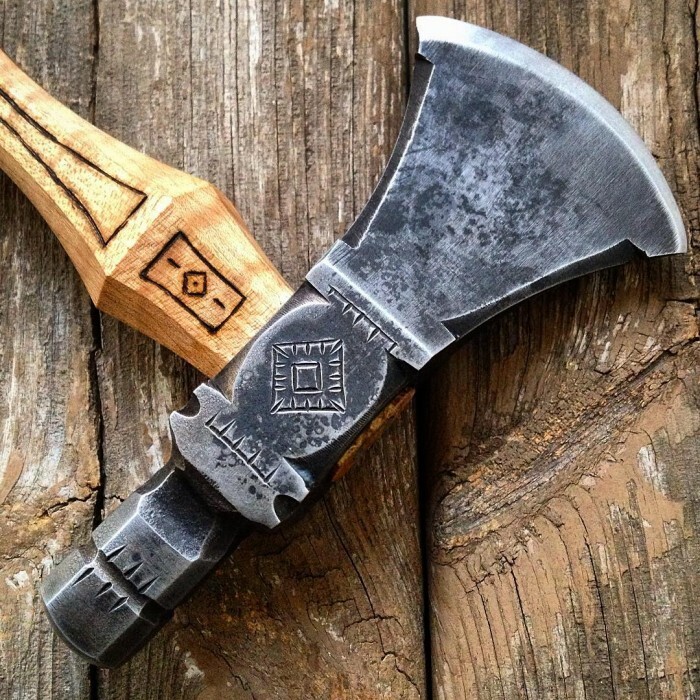 Indeed, much of his new work is dedicated to edged tools like this decorated tomahawk. This simple, decorated axe looks both functional and beautiful, with very minimalistic lines but a decidedly handmade appearance. This farmer’s knife retains the elements of custom work and is a highly utilitarian tool for outdoors work around a ranch or farm. But Cergol hasn’t neglected the tool that built his fame and customer base. 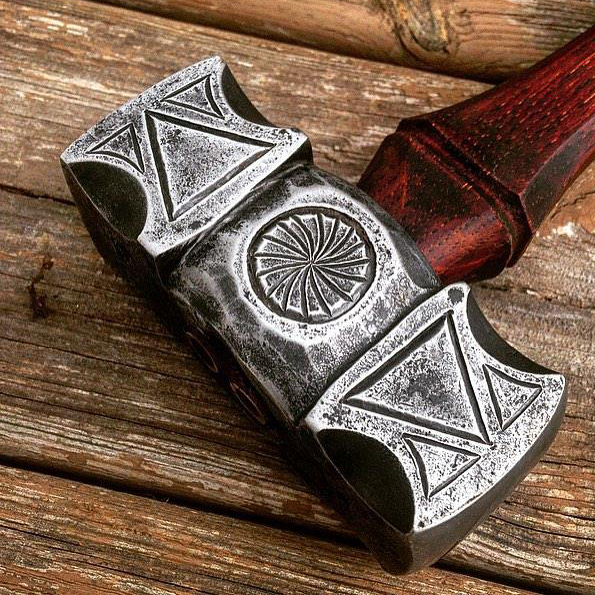 He’s still churning out beautiful hammers like these above from his forge in Milwaukee, Wisconsin. To learn more about Cergol’s work, follow him on Facebook, and keep an eye out for his frequent updates about tools for sale. In a world dominated by mass-production, his handmade products stand out far above the rest. See more of Cergol’s work in GearJunkie’s previous article, ‘Not Your Average Hammer.’ Follow him on Facebook here.